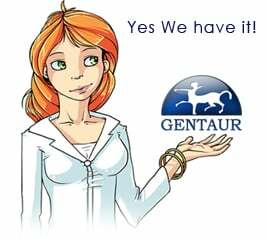 Gentaur antibody-antibodies.com The Marketplace for Antibodies : Tandem orientation of the inter-alpha-trypsin inhibitor heavy chain H1 and H3 genes. Tandem orientation of the inter-alpha-trypsin inhibitor heavy chain H1 and H3 genes. The inter-alpha-trypsin inhibitor H1 (ITIH1) and inter-alpha-trypsin inhibitor H3 (ITIH3) genes have both previously been mapped to chromosomes 3 and 14 in the human and mouse, respectively. We now present evidence that these genes are physically linked. By using cDNA probes, a recombinant DNA phage has been isolated from a bacteriophage DNA library, which contains sequences flanking the 5' end of the ITIH3 gene and the 3' end of the ITIH1 gene. Restriction endonuclease mapping, PCR analysis and DNA sequence determination of the recombinant phage and comparison to genomic DNA revealed that the genes are in tandem, 2721 base pairs apart, with the ITIH1 gene to the 5' side of the ITIH3 gene. Their respective transcriptional units are thus on the same strand of DNA and most probably arose in evolution as the consequence of a duplication of a common ancestral gene.